The Missive Maven: Good Post is not a Thing of the Past. 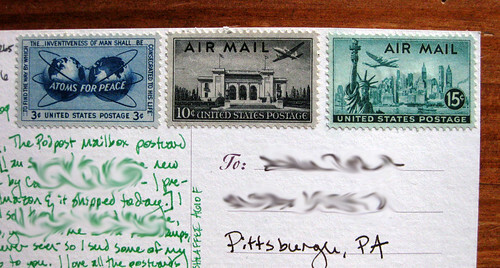 PostMuse sent me this charming PodPost mailbox postcard. I wish they still sold it, but I don't think they do. At least, I can't find it on their website. But I love the meta-mailbox mood. The postcard/artwork title is "Good Post is not a Thing of the Past." Hear, hear! 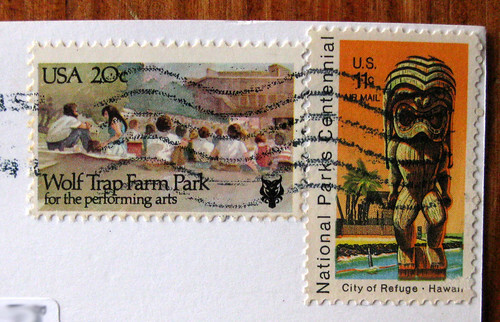 It also came with these awesome vintage stamps, neither of which I'd seen before. 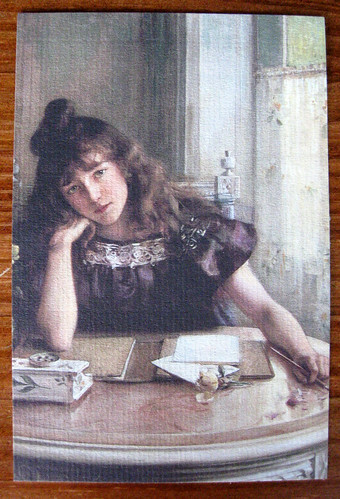 So in keeping with the meta-mail theme, I responded with this postcard, showing "The Letter" by Albert Lynch. And I included a few vintage stamps of me own. The both of you are awesome and love everything you guys share with us readers . You both totally rock . Years ago, my mother gave me a journal with Lynch's painting on the cover. She said the girl reminded her of me. 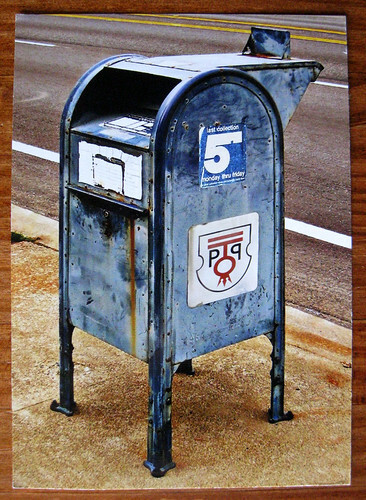 We send out those Pod Post mailbox postcards as freebies with orders (that's why they're not on the website!) Email me your address (surely I have it...just not right here) (carolee AT podpodpost.com) and I'll send a few your way!